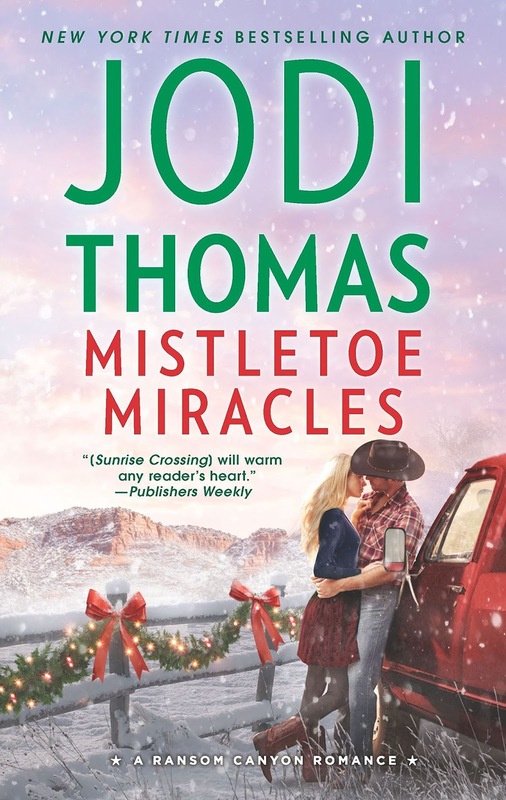 Jodi Thomas brings readers plenty of love, romance, laughter, and feel-good holiday spirit in this new contemporary romance novel set within her popular Ransom Canyon world. In the book, Thomas guides three separate couples on their journey to love with stories that seamlessly intertwine throughout. I knew right from the start that I was going to love Griffin Holloway. He's hard-working, self-deprecating, a little rough around the edges, cared for his parents before their deaths, raised his younger brothers, and is full of honor and kindness. He's also clueless when it comes to women which is how he ends up throwing himself on the mercy of the town's eccentric spinster sisters to find him a rich bride. Not that he plans to take her money. He wants to borrow against it and pay her back when the ranch is doing well again. He's not a gold digger, after all. He just needs a little help. Sunlan Krown is everything Griffin isn't. She's rich, refined, highly educated, well-traveled, and comes from Texas ranching royalty. But, like Griffin, she needs a convenient spouse without all the pesky emotions. Griffin checks all her boxes. Sunlan checks all of his. But Griffin hadn't counted on how Sunlan would make him feel and nothing could have prepared Sunlan for Griffin, his brothers, and the feeling of family that she's never known. Watching these two people who thought they could keep their convenient marriage free from emotion, desire, and love gradually move from strangers to friends to much, much more was an absolute delight. This is such a feel-good story but also filled with plenty of laughs. Thomas's humor is on point here, especially in the scenes with Griffin's brothers. I adored them all. Who can turn their back on a man wounded in body and spirit who goes off to an isolated cabin in the woods to lick his wounds? Or a wounded pup who slowly brings him back to life? Not this reader! Jaxon O'Grady is one of the good guys but a tragedy has him questioning everything about himself and his life choices. Mallory Mayweather is a woman running for her life, desperate to escape the abusive boyfriend who beat her within an inch of her life. Mallory's dog trusts the man who nursed him back to health. Can Mallory trust him as well? If anyone deserves a happy ending it's these two. 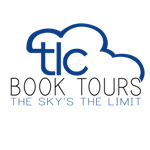 Thomas uses a gentle hand with Mallory and Jaxon, two characters both struggling to recover from pain and trauma in their lives. I appreciated the fact that she took her time with their relationship as there was individual healing that needed to occur before a happy ending could be possible. And I also appreciated how the ex-boyfriend was dealt with! Captain Wyatt Johnson yearns for a home and family, two things he's been unable to find during his military career. Crossroads teacher, Jamie Johnson took care of that little detail in her own life by creating a fictitious husband to ward off the advances of creeps like one of the male teachers at her school. On leave and exhausted from his most recent mission, Wyatt falls asleep and wrecks his car near Crossroads. The helpful sheriff who finds him staggering down the road notices his name tag, figures he's Jamie's husband come home to surprise her, and takes him to her house where he tucks him into bed. You can imagine the surprise when Jamie comes home from a school trip to discover her "husband" has come home! Now the whole town is overflowing with happiness for the reunited couple. They're strangers sharing a home but if they come clean the whole town will know Jamie has been lying to them. Maybe there's another solution. After all, Wyatt is only on leave for a few weeks. They could pretend to be husband and wife, couldn't they? Who would know? "Stranded with a stranger" is another of my favorite tropes and Jamie and Wyatt's story is so much fun. I loved watching the two of them gradually become acquainted, then attracted, then emotionally attached as the dreams they've each secretly hoped for slowly begin to be realized. But their "marriage" has a time limit as Wyatt must return to his dangerous, top-secret life, leaving Jamie behind. Or, will a mistletoe miracle turn a pretend husband into a real one? I enthusiastically recommend Mistletoe Miracles for a hopeful, heartwarming reading experience, not only at Christmas but any time of the year. And don't worry if you haven't read any of the previous books in Thomas's Ransom Canyon series. The stories in this book stand on their own. I am so behind on my reading. I love this series and looking forward to reading this book. I love the sound of all 3 story lines! And I love a good Christmas romance! Thanks for the review! Love a good Christmas romance. 5stars! I will definitely check this book out. 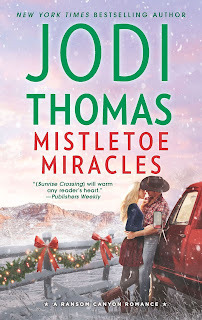 I have always enjoyed Jodi Thomas' books and never been disappointed. This one being a Christmas holiday story is a bonus. It will likely join my stash of holiday books.